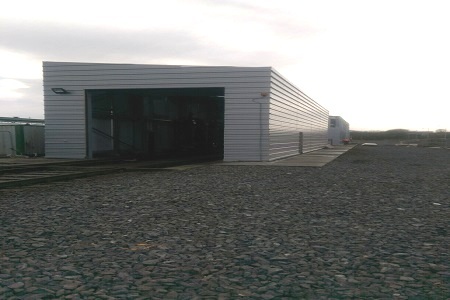 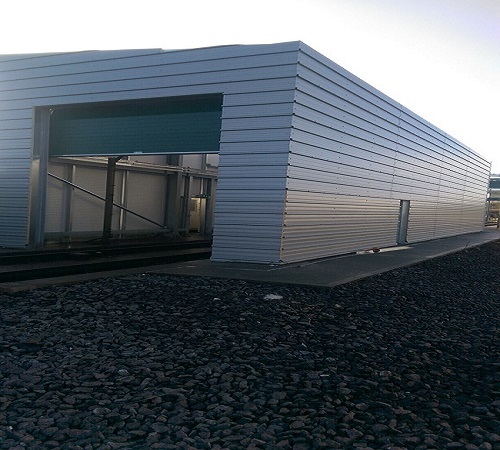 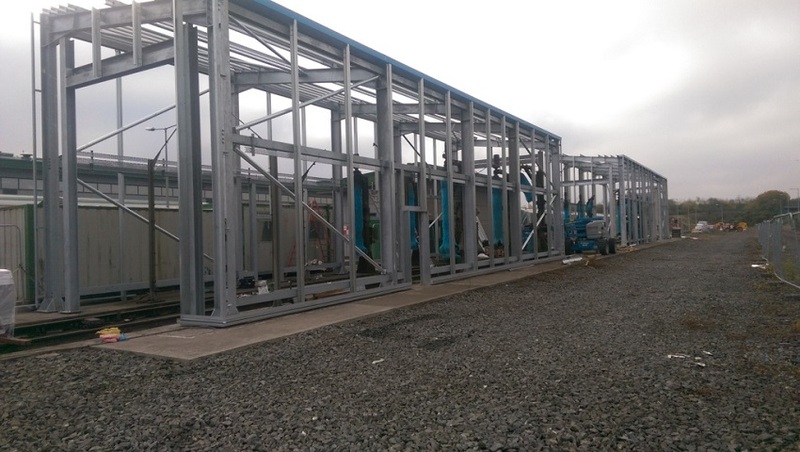 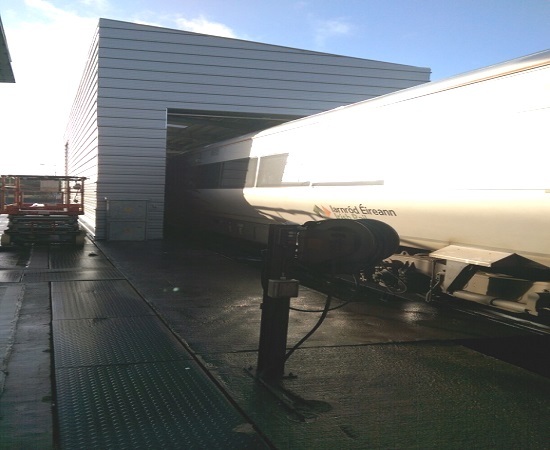 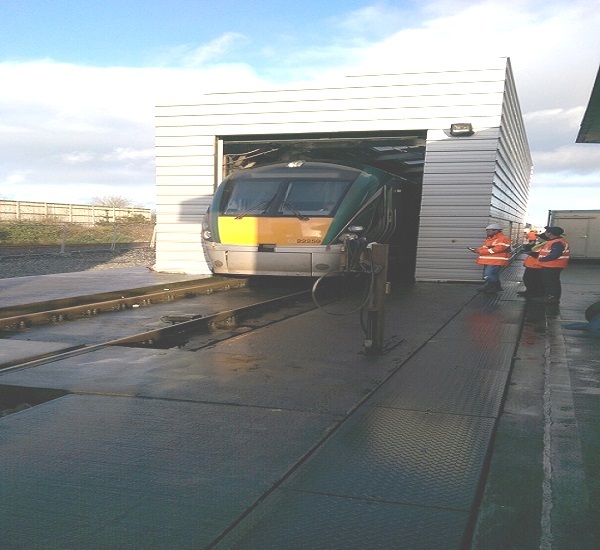 Works involved the construction of a 270m2 steel framed train wash facility in the Iarnród Éireann train care depot in Portlaoise. 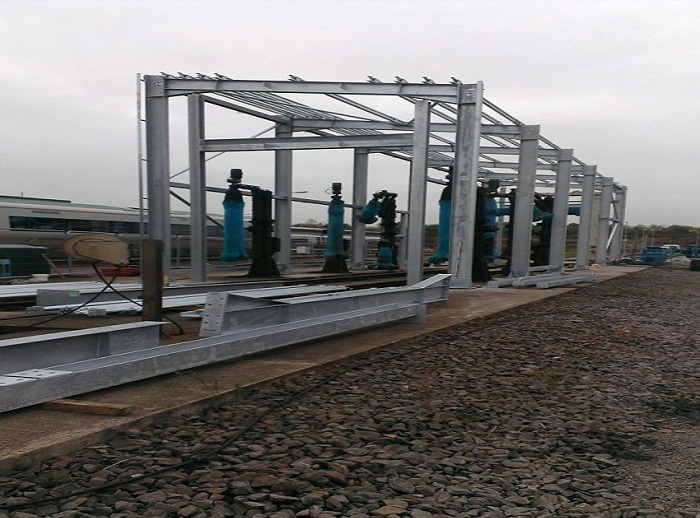 The wash equipment was provided by the client and we co ordinated the installation with the nominated supplier. 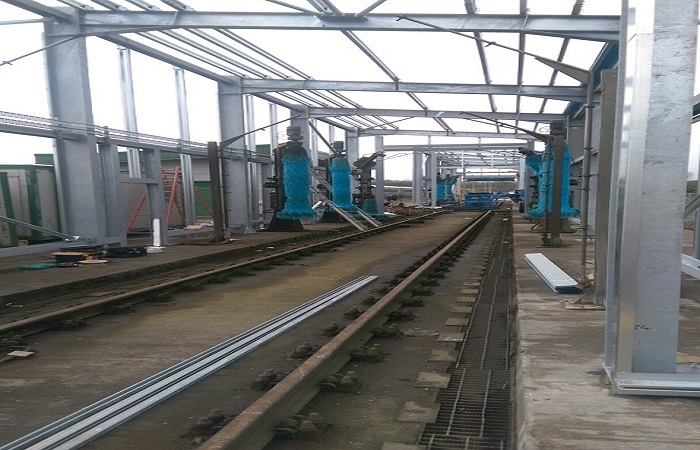 Works included the disassembly of existing steel wash structures and removal of structural steel beams and single skin cladding from old train wash.